Winter is finally behind us, and the summer movie season is about to shift into full gear! Get ready for picnics in the park, beach vacations and road trips — and great movies. When you want to head indoors for a little movie action (and air conditioning), AMC has your back. 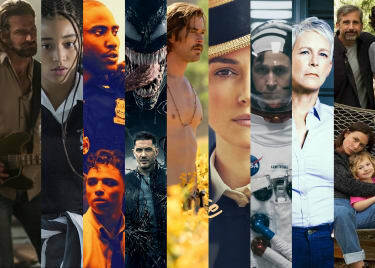 Here’s the cream of the movie crop coming to theatres in April 2019. File this one in the improbable but true department — the real-life saga of civil rights activist Ann Atwater and Ku Klux Klan “Exalted Cyclops” C.P. Ellis, forced to cooperate on a scheme to desegregate the Durham, North Carolina, school system in 1971. Amazingly, Ellis evolved beyond hate and the two became close friends. 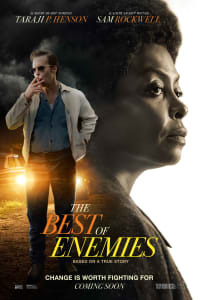 “Empire” lead Taraji P. Henson stars as Atwater, opposite Oscar® winner Sam Rockwell as Ellis. Babou Ceesay, Anne Heche and Wes Bentley round out the cast. It’s the 30th anniversary of the first movie adaptation of the super-creepy 1983 Stephen King novel — time for a remake! 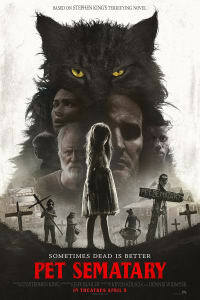 Directors Kevin Kölsch and Dennis Widmyer take a fresh approach to this tale of a Boston family that discovers something dark and disturbing in the mysterious burial ground near their new home in rural Maine. ZERO DARK THIRTY and TERMINATOR GENISYS star Jason Clarke plays the family patriarch, while Emmy winner John Lithgow takes over from one-time “The Munsters” star Fred Gwynne as the elderly neighbor who knows the cemetery’s secrets. 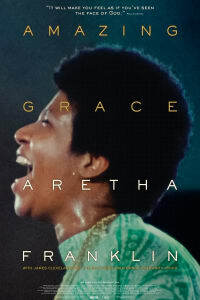 In 1972, the great Aretha Franklin performed for two nights at the New Temple Baptist Missionary Church in Los Angeles. The recording of those concerts became the best-selling live gospel LP of all time, but thanks in part to a very complicated editing process, Franklin would not permit the film of those legendary evenings to be shown publicly. Now, eight months after her death, the public can finally witness the Queen of Soul at her peak, in a documentary originally overseen by TOOTSIE and THE WAY WE WERE director Sydney Pollack. Billy Batson, a 14-year-old orphan, has the alliterative name typical of a superhero’s secret identity. Sure enough, one day he’s transported to an alternate dimension where a wizard bestows him with an unusual power: He can instantly become an adult superhero if he says the word “Shazam.” The character introduced in a 1939 comic book gets his first big-screen appearance in what promises to be one of the more funny and crowd-pleasing superhero movies. 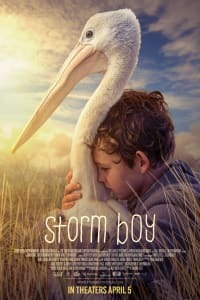 In STORM BOY, which is based on the classic children’s book by Colin Thiele, a boy living on a largely uninhabited Australian shoreline sees three helpless baby pelicans needing rescue. The boy, played by Finn Little, forms a years-long bond with the birds as he nurses them back to full health. Geoffrey Rush appears as the grown-up “Storm Boy,” who recounts the story to his granddaughter many decades later. Rush’s Australian countryman Jai Courtney (SUICIDE SQUAD) also co-stars. College freshman Tessa Young (Josephine Langford, “Wolf Creek”) meets the mysterious Hardin Scott (Hero Fiennes Tiffin, “Cleaning Up”) at a party, kissing him during a game of Truth or Dare. Even though Tessa is still trying to maintain her relationship with her high school boyfriend from back home, Hardin keeps pulling her closer. This romantic drama is based on the young adult novel published online by Anna Todd, which has accumulated more than 500 million reads. In the stop-motion MISSING LINK, Hugh Jackman voices Lionel Frost, an explorer on a quest to find a Yeti-like creature, the long-sought missing link on the evolutionary tree between animals and humans. 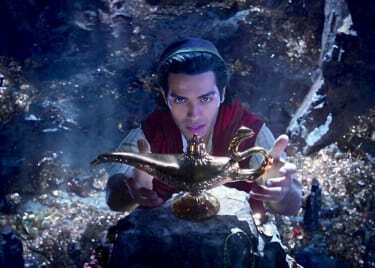 Hijinks ensue when he finally finds him — and, of course, “Mr. Link” speaks English and is voiced by Zach Galifianakis. Together, with explorer Adelina Fortnight (voiced by GUARDIANS OF THE GALAXY’s Zoe Saldana), the duo attempts to find the genial legend’s long-lost cousins in the wilds of Shangri-La. This is the third live-action outing of the comic book monster hunter. The franchise is being rebooted by director Neil Marshall, whose 2005 horror hit THE DESCENT gave us a glimpse of the ghoulish scenes in store for HELLBOY audiences. Marshall’s take on the source material is the first of its kind to carry an R rating and features David Harbour, aka Sheriff Hopper from “Stranger Things,” under the hero’s red paint. The half-demon anti-hero has his work cut out for him in this new outing, as he faces a resurrected witch whose evil deeds go all the way back to the days of King Arthur. Issa Rae, the breakout star of HBO’s “Insecure,” leaps to the silver screen in LITTLE. In this body-switching comedy, Rae plays April, a personal assistant whose work becomes very tricky after her nightmare boss, in a reversal of the plot from the Tom Hanks classic BIG, wakes up as a child, played by Marsai Martin of “Black-ish.” April’s role as a personal assistant quickly morphs into something like a surrogate mother. She guides her boss through the process of reliving a childhood no one is prepared for. Can they find their way back to a normal order? The latest documentary from Disneynature gives the moviegoing public something we all love: penguins! Ed Helms narrates the story of the adorably awkward flightless birds who waddle around like chafed cowboys. This feature-length documentary follows an Adélie penguin nicknamed Steve, as he tries to build a nest, find a life partner and start a family. Sounds like Steve has a lot to do, but maybe we’ll also get to see what penguins are up to in their spare time. This inspirational drama, based on true events, tells the story of Joyce Smith (played by Chrissy Metz of “This is Us” fame), whose life was turned upside down after her teenage son suffered a near-deadly fall into an icy lake. Smith stayed by her son’s side at the hospital and rallied an entire town to pray for his unlikely recovery. The movie is produced by faith-based veteran DeVon Franklin (MIRACLES FROM HEAVEN) and is adapted from Smith’s own memoirs. BREAKTHROUGH will be in theatres in time for Easter. Horror master James Wan produces THE CURSE OF LA LLORONA, which is loosely tied to his own popular CONJURING franchise. Here, a social worker (Linda Cardellini) and her two kids are haunted by La Llorona, a figure from Latinx folklore. She wanders through the night crying, filled with grief from having drowned her children. To make up for her loss, the ghostly figure kidnaps and kills the children of the living. We’re not sure how that helps, but ghosts don’t have to be logical. LA LLORONA director Michael Chaves is also set to helm THE CONJURING 3, in theatres next year. 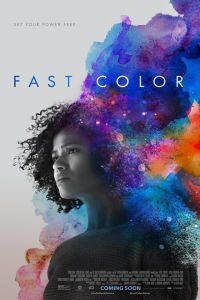 Gugu Mbatha-Raw, of A WRINKLE IN TIME and BELLE, plays a different kind of superhero in FAST COLOR. Possessed of superhuman powers, Ruth (Mbatha-Raw) has been forced to go on the run. Eventually, she returns home and finds that her daughter (Saniyya Sidney) has her own set of powers. Hunted by the government, three generations of women — Ruth, her mother (Lorraine Toussaint of “Orange Is the New Black”) and her daughter — decide to make a stand. Andrew Garfield is drawn into a vast underground web in the neo-noir UNDER THE SILVER LAKE. It’s not the Spider-Man kind of web, however. This is a tangle of conspiracies from IT FOLLOWS filmmaker David Robert Mitchell. Less a horror story than a mind-twisting, MULHOLLAND DRIVE-esque mystery, the story follows Garfield’s character, Sam, a jobless drifter, as he explores the underbelly of Los Angeles while trying to figure out what happened to his missing neighbor (Riley Keough). When Thanos snapped his fingers at the end of AVENGERS: INFINITY WAR, half of all life in the universe was instantly destroyed. But a few Avengers survived, and they have to figure out how to fix things. 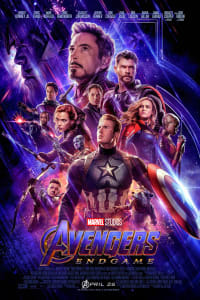 Heroes like Captain America, Thor, Black Widow, Ant-Man and the Hulk are joined by Captain Marvel (Brie Larson), who made her enormously successful film debut in March. If you saw how she dealt with a fleet of spaceships in her own movie, you might agree that Thanos had better start running.